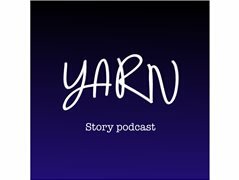 A one off audio drama for a storytelling podcast. Approx. 30 mins in length. Dublin, St. Patrick’s Day 1923. A bloody civil war has been raging in the city for almost two years. Brothers, sisters and friends have often found themselves on opposing sides. In an attempt to restore order the new state have started executing dissidences in high numbers. Opposing forces react by calling for a compulsory period of national morning. All public amusements are to be shut down. Anyone staging or attending a public event leave themselves open to terrorist attacks by the opposition. Sounds like the perfect time to stage a world championship boxing match in the city right? What could go wrong? Our story is told from the point of view of two characters. Siki, a Senegalese boxer who has come to defend his world title and Lizzie, an IRA member who's been tasked with planting a bomb at the venue. Recording end of March/early April. Approx. half a day's work. Black male, in his twenties. Flamboyant personality with a bit of a temper.